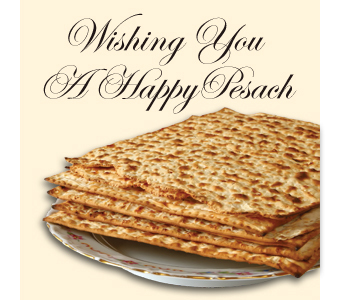 Ben’s Kosher Delicatessen Restaurant & Caterers, family owned & operated since 1972. Ben’s Manhattan location is on 38th street at 7th Avenue just minutes from all midtown attractions. Ben’s features a wide variety of foods and can work within virtually any budget. Choose from overstuffed sandwiches or lighter selections from an extensive menu of homemade soups, crisp garden salads, wraps, freshly-prepared entrees and old-world eastern European specialties. This is authentic NY deli at its best where virtually everything is prepared from scratch. Our stunning art deco dining room is colorful, comfortable and spacious. There is a full bar as well as luncheonette and delicatessen takeout counters. The entire restaurant is available before 11 am for breakfast or brunch, and after 9 pm for late night parties. We can accommodate a party of 50 for lunch, 200 guests in the late afternoon, or 150 guests for dinner. Let our expert staff tailor the perfect menu for your group. Moderately priced luncheon menus include homemade soup or house salad, an overstuffed sandwich, side dish, plus unlimited homemade cole slaw, pickles and a bottomless beverage – coffee, tea or fountain soda. Pre-theater dinners start at under $25. For more information, please call Kevin Eccles at (212) 398-2367 or click here to email him. Large Groups are Accommodated in All Ben’s Locations throughout Queens, Long Island and Boca Raton, FL! Food was good and the staff was friendly. Next time I should prep kids as to what to expect from a deli sandwich-wise. Dinner at Ben’s Delicatessen met expectations. A new experience for the kids and the food was good. We had a wonderful time at Ben’s and will be making it our regular dinner stop on our annual school trip! It was great working with David — he was helpful and attentive to our group needs and had a lot of good suggestions. Food was terrific as usual and the kids had a wonderful time. The fact that we had a small section of the deli to ourselves was fun and everyone enjoyed their dinners. Service was fast and efficient, all the staff was terrific. Thanks so much for all your help and we’ll see you next May, if not before.